The record version of Pimp My Ride. 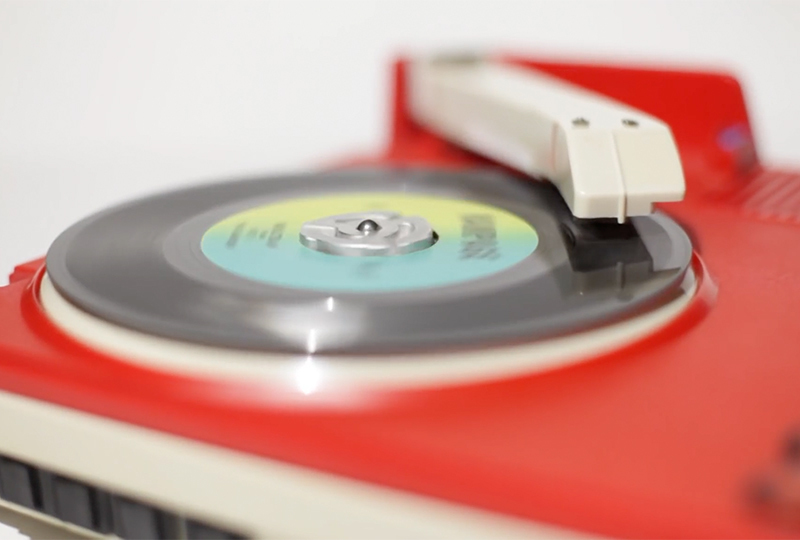 Unimpressed with the portable models available on the market, record lover, hacking afficionado (and sometime Depeche Mode webmaster) Daniel Barassi decided to take matters into his own hands, using a Fisher-Price children’s turntable. The project started innocently, with Barassi figuring out a way to replace Fisher-Price’s “diamond needle cartride” with a Shure M44-7 “DJ” cartridge. Not content with a mere stylus upgrade, Barassi continued to modify the deck, creating a turntable that’s equally able to play records while digging as it is to play records via a mixer or serato. And thus, his Fisher-Price turntable was transformed into a souped up “Fishure-Price” version. The project has also inspired video series #45Friday, where musicians, artists and writers selecting their favourite 45 of the day, as well as an instagram feature which captures the mobile deck in the wild. Head here for more info, and check out the “Fishure-Price” in action below.